The Palestinian municipal authority in Salfit province has strongly denounced Israel’s annexation of more Palestinian land north of the province to build new colleges for Ariel University. In a press release on Saturday, head of the Salfit municipality Abdul-Karim al-Fattash invited Palestinian and Arab businessmen and investors to contribute to protecting the Palestinian land in Salfit through carrying out projects on its land, affirming that his authority would provide them with all help and support in this regard. Fattash also urged the government of Rami al-Hamdallah to build a cultural palace and medical facilities in Salfit city in response to Israel’s expansion projects in Ariel settlement. “We are the rightful owners of the land, and our people should build and develop it and protect its Arab-Palestinian identity, which is deeply rooted in history,” the municipality chief underlined. 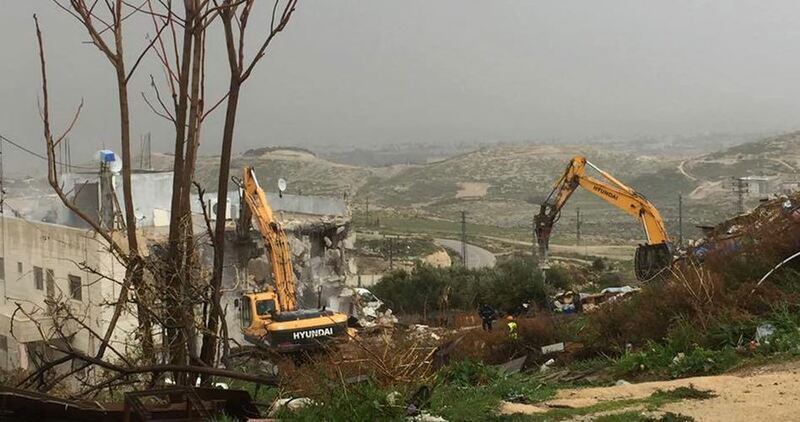 A Palestinian family, on Saturday, was forced to demolish its own house in the town of al-Eeesawiyya, an Arab neighbourhood in Jerusalem, after the Israeli municipality of West Jerusalem threatened to demolish the house under the pretext it was built without an Israeli-issued permit. 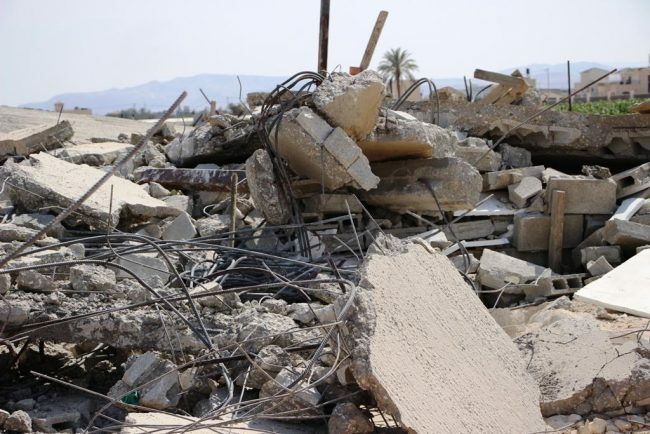 Member of the follow up committee in al-Eeesawiyya, Ra’ed Abu Ryaleh, told WAFA that the family of Mohammad Ali Nasser ‘Aasi opted to demolish its own home to avoid paying heavy costs if the municipality demolishes it. The family received a demolition order for the house, which was built in 2008 and consists of two rooms and a kitchen, last month. Palestinians, according to international and Israeli organizations, are forced to build on their property in occupied East Jerusalem without permits because the Israeli municipality does not provide them with building permits in an effort to keep the Palestinian population in the occupied city to a minimum, while increasing its Jewish population through building thousands of Israeli-only housing units, in dozens of illegal settlements in and around the holy city. Israeli soldiers invaded, on Sunday at dawn, the northern West Bank city of Jenin, and installed many roadblocks around it, before abducting one Palestinian, and demolished a monument for a Palestinian, who was assassinated by Israeli agents in Athens, in 1986. The soldiers installed many roadblocks in the western part of Jenin city, Jenin-Jaffa Road, and at roads leading to many villages, before stopping and searching dozens of cars, and interrogated many Palestinians while inspecting their ID cards. The Jenin office of the Palestinian Prisoners’ Society (PPS) sad the soldiers abducted ‘Aref Wishahi, 22, from the al-Mothallath village, after stopping him at a roadblock installed at the junction of ‘Arraba town. Furthermore, the soldiers demolished, for the second time in a few days, a monument for a slain Palestinian, identified as Khaled Nazzal, at Jenin’s western entrance. The soldiers demolished the monument shortly after it was rebuilt. 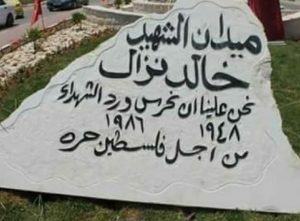 It is worth mentioning that Nazzal, from Qabatia town near Jenin, was one of the founders of the Democratic Front for the Liberation of Palestine (DFLP), and was assassinated by Israeli agents in Athens on June 9th 1986. The Netherlands has reacted with outrage after Israeli authorities seized dozens of solar panels, from a remote occupied West Bank village, that were donated by the Dutch government. Israeli forces confiscated the solar panels in the isolated village of Jubbet al-Dhib, east of Bethlehem, on Wednesday, that were installed last year, under the pretext that they were built without the nearly impossible to obtain permits required by Israel to develop in Area C — the 61 percent of the West Bank under full Israeli military control. A report, Saturday, by Israeli news daily Haaretz, cited a statement from the Dutch Foreign Ministry, that said the Dutch government lodged a protest with Israel over the confiscation of the electricity equipment, which was said to be a hybrid power system of both diesel and solar power. 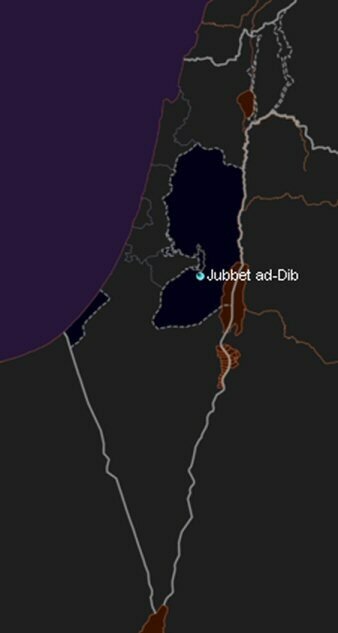 The Dutch government-donated electrification project in the southern Bethlehem region cost about 500,000 euros, 350,00 euros of which went to Jubbet al-Dhib, according to the report. The Dutch Foreign Ministry has requested Israel return the equipment and is “currently assessing what next steps can be taken,” the ministry’s statement to Haaretz said. Ma’an News Agency reported at the time that 60 solar panels were seized, though Haaretz said that in fact 96 panels were taken down, in addition to other electronic equipment of the system that was also seized, which was funded by the Dutch and installed about nine months ago by the Israeli-Palestinian organization Comet-ME, which builds water and energy systems for Palestinians. According to the report, Comet-ME implemented the project with the assistance of the town’s women’s committee using environmentally and socially sustainable methods. The mayor of the village said, at the time of the raid, that the solar panels were confiscated as well as destroyed, but Haaretz cited Comet-ME as clarifying that items were taken by Israeli forces intact, while equipment that was not seized was destroyed by Israeli forces and left behind. The cost of the confiscated and damaged equipment is valued at 40,000 euros, though the material and social damage is “much greater, as their seizure immediately resulted in the loss of power for the 30 families in the village and its public buildings,” Haaretz wrote. “Had orders been given in advance the village and its representatives could have taken administrative or legal action,” the report stressed. “We emphasize that the village has other electricity sources,” COGAT also told Ma’an at the time. According to Haaretz, this likely refered to “a couple of noisy and polluting generators from aid organizations, which supply power for three hours a day,” which were received after Israel confiscated a solar-powered public lighting system in 2009. Some 150 Palestinians reside in Jubbet al-Dhib, which is neighbored by the illegal Noqedim settlement — home to Israeli Defense Minister Avigdor Lieberman — as well as the illegal El David settlement, in addition a number of Israeli outposts, that, despite being illegal even under Israeli domestic law, still enjoy connection to the power grid and access to other infrastructure, according to Haaretz. Meanwhile, all Israeli settlements in the occupied West Bank, including East Jerusalem, are considered illegal under international law. “In order to contribute in reducing the suffering of the people of the village, help them to stay in their lands by protecting it from the ambitions of the Israeli occupation to confiscate it, the idea of using solar technology to light up the village streets, as well as lighting the village gathering center (the mosque) was considered,” ARIJ wrote in a village profile in 2010. However, Israeli authorities have continued to refuse to grant a license for the project, forcing residents and NGOs to carry on with the solar panel installation without Israeli permission. “The Israeli civil administration’s decision not to grant a license to implement the project of solar energy technology in Jubbet al-Dhib village means depriving the Palestinian residents of their most simple human rights of access to the most basic rights such as: education, health, the right to work, and the sense of humanity,” the report said. “This policy does not only include Jubbet al-Dhib village, but almost ten Palestinian villages, which suffer from the lack of services and development projects,” the group wrote at the time. More than 300 structures demolished by Israeli authorities in 2016 were erected with support of international organizations or with the financial help of the European Union, according to an Israeli military official cited in a report by Israeli newspaper The Jerusalem Post. The official told The Jerusalem Post that a new procedure was put in force in 2016, which allows Israeli authorities to demolish a structure built without Israeli permits within 60 days of its construction without legal proceedings. In 2016, Palestinians experienced the highest number of Israeli demolitions recorded in a year since rights groups began recording the incidents. 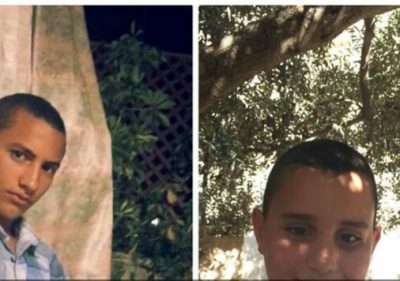 Dozens of Israeli soldiers and police officers invaded, on Friday evening, the town of Silwan, in occupied East Jerusalem, detained two child siblings, and abducted one of them, while the two were swimming in front of their home, and handed demolition orders targeting two homes, in addition to photographing structures. The Wadi Hilweh Information Center in Silwan (Silwanic) said the soldiers invaded Kroum Qamar neighborhood in Silwan, and abducted Nasr Mohammad al-Abbasi, 15. The soldiers also detained Nasr’ brother, Hamza, 10, and wanted to move him to an interrogation center in Salaheddin Street, but the family and neighbors managed to stop them. Furthermore, personnel of the Jerusalem City Council, and the army, handed “administrative demolition orders” targeting the homes of Firas Somrein and Mohammad Siyam, in Wadi Hilweh neighborhood, in Silwan, in addition to photographing alleys and structures. 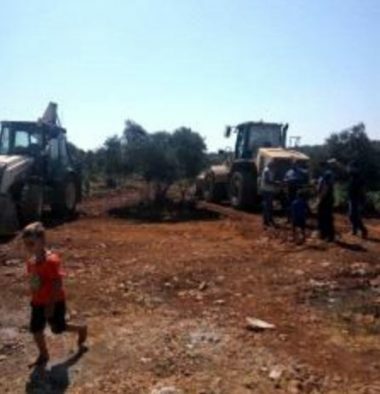 Dozens of Israeli soldiers, accompanied by military bulldozers, invaded Thaher al-Maleh village, north of Ya’bad town, in the northern West Bank city of Jenin, and uprooted 20 Dunams of olive orchards, in addition to lands planted with tobacco. Omar al-Khatib, the head of Thaher al-Maleh Village Council, said the uprooted lands belong to Abdullah Fahmi al-Kilani, from Ya’bad, and Fathi Zeid, from Nazlet Sheikh Zeid village. He added that Israel is planning to pave a new road extending from Shakid illegal Israeli colony, to Hananit and Tal Menashe illegal colonies, built on privately-owned Palestinian lands, in addition to building a new section of the Annexation Wall. Resident Hasan Khatib, told WAFA Palestinian News Agency that the Palestinians are left without any path to their lands and orchards in the northern area of the village, and added that the army is even trying to bulldoze the village’s graveyard. The soldiers also placed some construction materials in a land, owned by Abdullah Fahmi Zeid, to be used for the construction of the Wall. Khatib stated that, once the new section of the Annexation Wall is built on Palestinian lands, near Shakid colony, it will lead to the illegal confiscation of more than 1000 dunams of lands, owned by Palestinians from Ya’bad and Nazlet Sheikh. 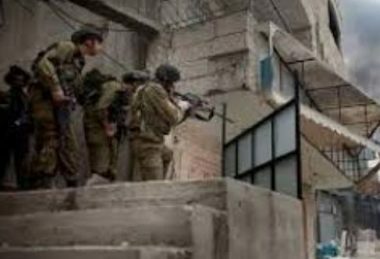 The Israeli Occupation Forces (IOF) delivered Thursday evening a stop-work order in the village of Idhna in the southern occupied West Bank district of al-Khalil. 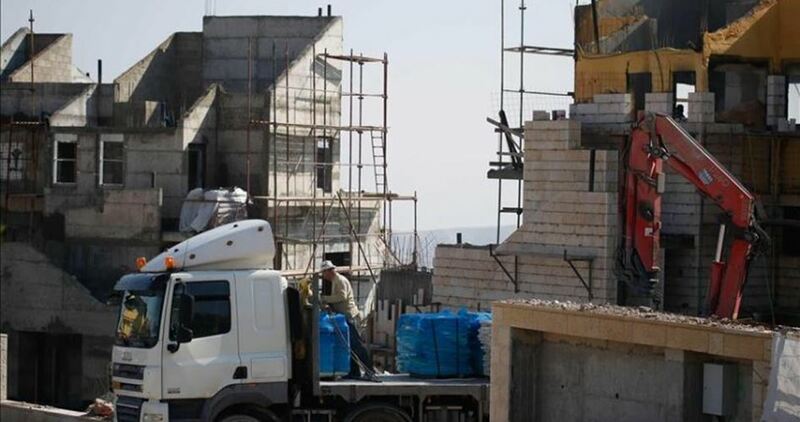 Local sources told PIC reporter that Israeli authorities delivered the notice to Sharif al-Jiawi for a one-story home in the al-Ras area of western Idhna in which six family members are currently residing. 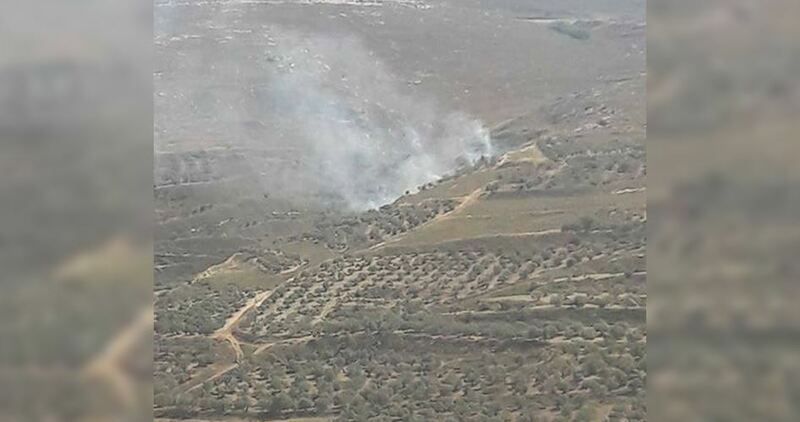 Israeli settlers reportedly started a fire near the Palestinian village of Burin. in the occupied West Bank district of Nablus, on Wednesday afternoon. According to an Israeli army spokesperson, suspects coming from the illegal settlement of Yitzhar approached Burin on Wednesday afternoon, igniting a fire on lands near the village before fleeing the scene. The spokesperson added, according to Ma’an News Agency, that while the fire was extinguished by Israeli forces, no detentions were carried out at the scene, and that the case was transferred to Israeli police. Israeli police spokesman Micky Rosenfeld said that he was not aware of the case. According to footage shared on social media by Palestinian news agency al-Quds (photo), Israeli soldiers and police officers were on the scene protecting the settlers. Israeli news outlet Ynet reported, on Wednesday, that the Israeli army has been increasingly struggling to handle Yitzhar settlers, notorious for being violent against both Palestinians and Israeli forces, as well as for their fanatical ideology. The arson attack on Wednesday came as Israeli police spokeswoman Luba al-Samri said that investigations were ongoing against two Israeli settlers from Yitzhar who were suspected of throwing rocks at an Israeli ambulance, earlier this month. Al-Samri also confirmed the detention of an Israeli minor in connection with an attack against Israeli forces in Yitzhar, on Sunday. The arrests marked a rare instance of Israeli settlers being held accountable for acts of violence, as a number of recent incidents in which settlers in the area attacked Israeli army personnel have gone unpunished. Several settler attacks have been carried out in Palestinian villages near Yitzhar in recent months, including the destruction of some 45 olive trees near Burin, on Sunday. 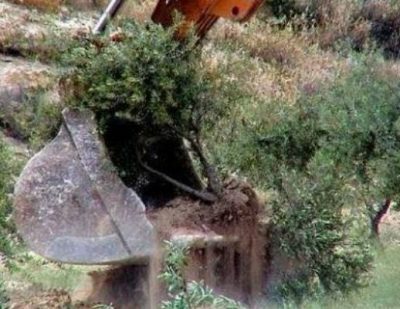 PNN recently reported that Yitzhar settlers are continuing to dump their waste on agricultural land owned by Palestinians south of occupied Nablus, causing damages to the land and its owners. Anti-settlement activist Bilal Eid said the settlers from Yitzhar continue their attacks against Palestinians, which have resulted in the death and injury of many citizens, not to mention damage to Palestinian property. He explained that the dumping of harmful waste on Palestinian land, especially in the village of Burin, aims to pressure Palestinian citizens who live in areas close to the illegal settlements to leave their land allowing Israel to annex it to the settlements. Villages and towns south of Nablus, including the village of Burin have repeatedly been attacked by the Israeli army under the pretext of providing protection for Jewish settlers living in the illegal settlement of Yitzhar, which is located on the agricultural land owned by Palestinians south of Nablus. A number of Palestinians, including a 72-year-old woman and a shepherd, have been hospitalized since April following attacks near Yitzhar, as a number of Palestinians were shot by Israeli forces who arrived to the scene to “disperse” the clashes. Palestinian activists and rights groups have repeatedly accused Israel of fostering a “culture of impunity” for Israeli settlers and soldiers committing violent acts against Palestinians, while Palestinians face up to 20 years in prison for throwing stones if intent to harm could be proven, and face a minimum prison sentence of three years for throwing a stone at an Israeli. In March, Israeli NGO Yesh Din revealed that Israeli authorities served indictments in only 8.2 percent of cases of Israeli settlers committing anti-Palestinian crimes in the occupied West Bank in the past three years — in comparison to a 90 to 99 percent conviction rate for Palestinians in Israeli military courts. According to the United Nations Office for the Coordination of Humanitarian Affairs (OCHA), there were a total of 107 reported settler attacks against Palestinians and their properties in the West Bank, including East Jerusalem, in 2016, with 65 attacks being reported since the start of 2017. Dozens of Israeli soldiers invaded, Wednesday, the village of Job Al-Theeb, east of Bethlehem city, in the occupied West Bank, and confiscated one hundred solar panels, used for providing electricity to the residents. 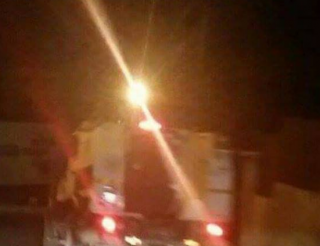 The soldiers also abducted a Palestinian near Jenin, in northern West Bank. Hasan Brejiyya, the coordinator of the Popular Committee against the Annexation Wall and Colonies, in Bethlehem, said a large military force, accompanied by personnel of the “Civil Administration Office,” run by the army in the occupied West Bank, invaded the village, removed and confiscated 100 solar panels. The army claimed that the panels were installed without a permit from the Civil Administration Office, and that the area is under full Israeli control. The project was completed nearly six months ago, to provide the villagers with electricity. Brejiyya added that the soldiers briefly detained several members of the Local Committee against the Annexation Wall and Colonies, in addition to journalists working for Awdah Satellite TV station, and prevented them from entering the village. Furthermore, the soldiers a abducted Mohammad Kamel Abu Bakr, 18, after stopping him at a military roadblock, on the Arraba Junction, while he was heading back home in Ya’bad town, southwest of Jenin, in the northern part of the West Bank. Israeli soldiers invaded, on Wednesday at dawn, the Deheishe refugee camp, south of Bethlehem in the occupied West Bank, invaded several shops, after breaking their doors, and confiscated surveillance tapes. Media sources in the refugee camp said the soldiers broke into many stores, along the main Bethlehem-Hebron road, in addition to Doha Local Council building, across the road, violently searched them and confiscated surveillance tapes. They added that clashes took place between the invading soldiers and dozens of local youngsters, and that the army fired many gas bombs. Furthermore, the soldiers invaded Marah Rabah village, south of Bethlehem, stopped many cars and photographed them, while examining the ID cards of many Palestinians. Israeli settlers on Saturday burned down dozens of olive trees in Qaryout, south of Nablus, as celebrations for Eid al-Fitr got underway in the occupied Palestinian territories. Coordinator for the anti-settlement committee, Bashar al-Qaryouti, said olive trees planted on Palestinian land west of Qaryout were burned to a crisp by extremist Israeli settlers. The Palestinian locals were shocked as they caught sight of dozens of olive trees reduced to ashes, added Qaryouti. Israeli soldiers invaded, Wednesday, Palestinian agricultural lands, especially olive orchards, belonging to the villagers of Jaloud, south of the northern West Bank governorate of Nablus, in preparation for building a new illegal colony. The decision to illegally confiscate the lands was made in late March this year, and targets at least 977 dunams of Palestinian lands. Israel’s colonies in the occupied West Bank, including East Jerusalem, are illegal under International Law and the Fourth Geneva Convention, to which Israel is a signatory and a constant violator. 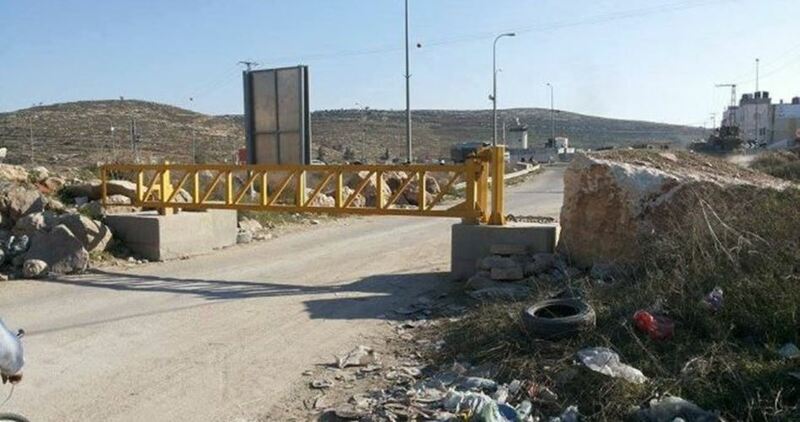 The Israeli occupation authorities (IOA) closed on Monday a waste landfill in Beita town, south of Nablus, declaring the area a closed military zone. Beita Mayor, Fuad Maali, said the Palestinian Liaison informed them of an Israeli decision to close a garbage dump site for being a closed military zone. As part of the decision, any vehicles spotted in the area will be subjected to steep fines. Maali called on the Palestinian locals to keep away from the area so as not be arrested or fined by the IOA.